You have cat scratching posts. You put them around the house for your kitty. So why is she still scratching your furniture? We know how frustrating it is when your cat is scratching your sofa, the door frames, or your bedposts. We've created a checklist for you to be sure you're doing everything you can to keep your cat from scratching the furniture. Do you have scratching posts? Cats need to scratch, so if you don't have anything that's acceptable for your kitty to scratch, you aren't doing all you can to keep your furniture safe and your cat happy and healthy. 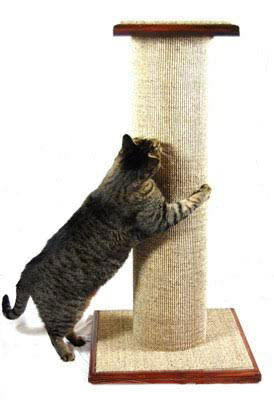 Are your scratching posts the right material? Cats like to scratch material that is similar to tree bark. It should be rough but easy for claws to sink into and scratch through. Bonus points if it makes a nice, fun noise. Sisal fabric (not rope) and heavy-duty corrugated cardboard are super great cat scratching surfaces. Carpet-covered posts are usually ignored because the loops in the carpet grab a cat's claws and pull on them. Do you have enough scratching posts? If you have more than one cat or a large home, you will need multiple scratching posts. If you don't have enough, it can actually increase the feline stress in your home because the kitties will feel like they are competing for resources. That can cause increased inappropriate scratching. Are your posts in the right places? This might be one of the biggest mistakes people make when it comes to cat scratching problems. If you put your scratching posts in out-of-the-way spots, your cat might not use them. Cats use scratching posts to show others their territory, so they want them to be front-and-center. Place posts in high-traffic areas of your home. You may be able to slowly move them to spots that are more acceptable to you over time. Have you done what you can to decrease feline stress in the home? Cats scratch more when they are feeling stressed. If your cat is scratching at door frames or window sills, it could be that she is bothered by an outdoor cat that's hanging around. If you have multiple cats and they aren't getting along or feel they're competing for resources like clean litter boxes, food, water, attention, or scratching posts, they may scratch inappropriately. Feliway is one way you can help your cat feel calm. Be sure you have plenty of litter boxes and that you keep them clean. 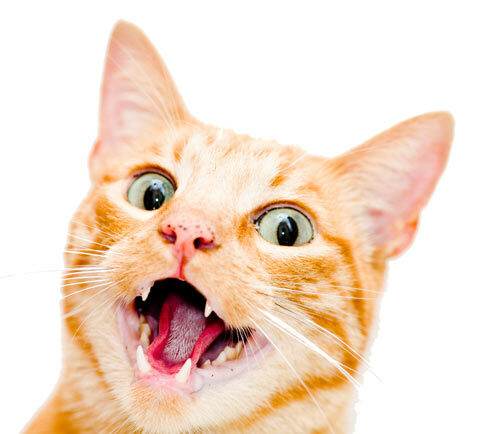 Learn more here: "Is Your Cat a Stress Scratcher?" Have you made the spots your kitty is scratching as unattractive as you can? While you are making changes and improvements to the cat scratching post atmosphere in your home, you should also consider what you can do to make the inappropriate areas that your cat is currently scratching unappealing to your kitty. You can use cat-safe citrus scented sprays, aluminum foil, or heavy blankets tucked in to cover the scratched areas. For more information on how to get your cat to stop scratching your furniture and use cat scratching posts instead, read this: "Train Your Cat to Stop Scratching Your Sofa in 7 Days or Less."